Eek! 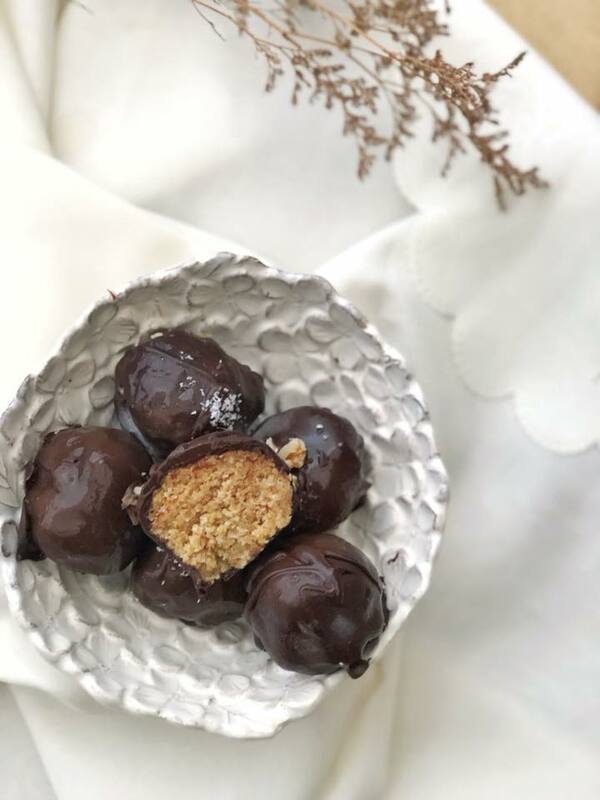 If you’re a peanut butter lover, like me, get ready to be addicted to these clean 6 ingredient peanut butter choc balls. 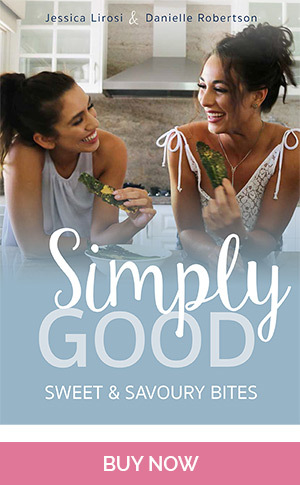 This is probably one of the easiest recipes ever and they taste so ridiculously naughty, you won’t believe they’re clean. The best part? Six ingredients and a processor is all you’ll need. Process walnuts until fine and add dates and pulse. Add remaining ingredients (except dark chocolate) and process until combined. 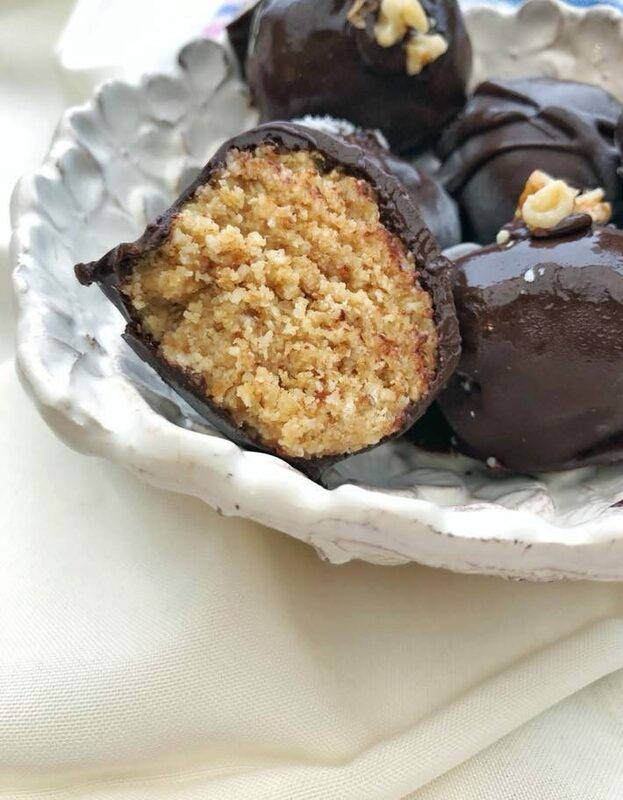 Roll dough into 6 – 8 balls and place in the freezer for half an hour. 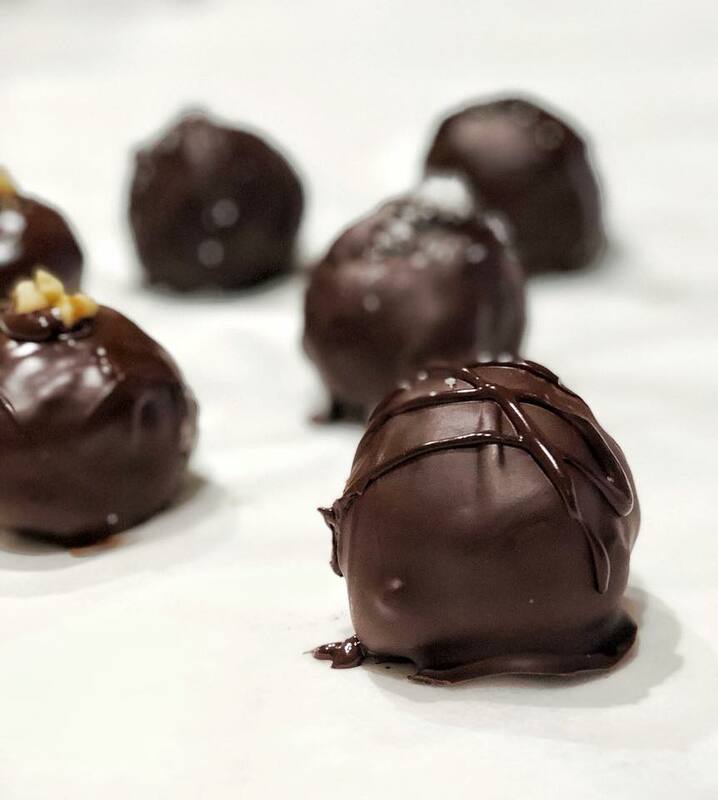 Melt dark chocolate and coat each ball in chocolate. 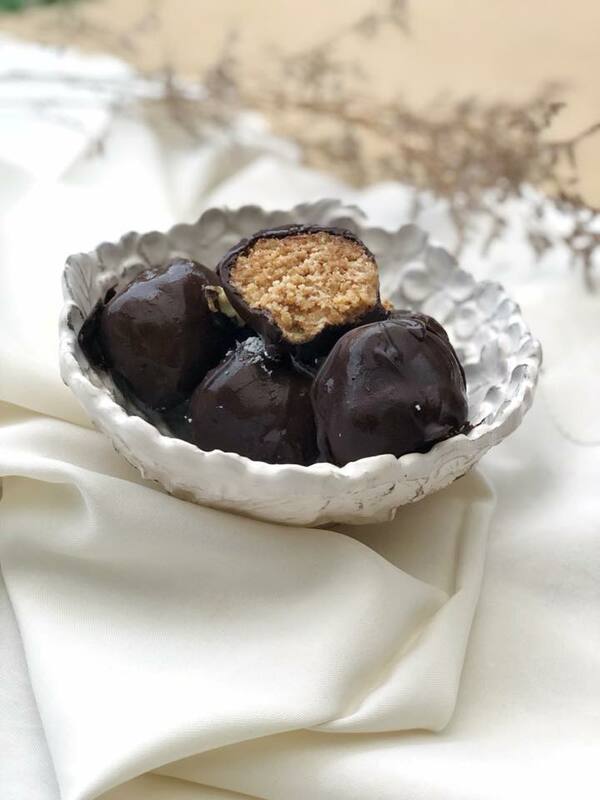 Top with additional chocolate, coconut and peanuts. Place back in freezer for 10 minutes and enjoy!